Few things in life satisfy like creating with your hands. Concepts is a power tool for both quick-and-dirty and accurate, intricate design jobs. It\'s portable and powerful, and it helps you get things done. This is your instruction manual. Breadcrumbs. You\'re now in the Gallery, in the Something project. 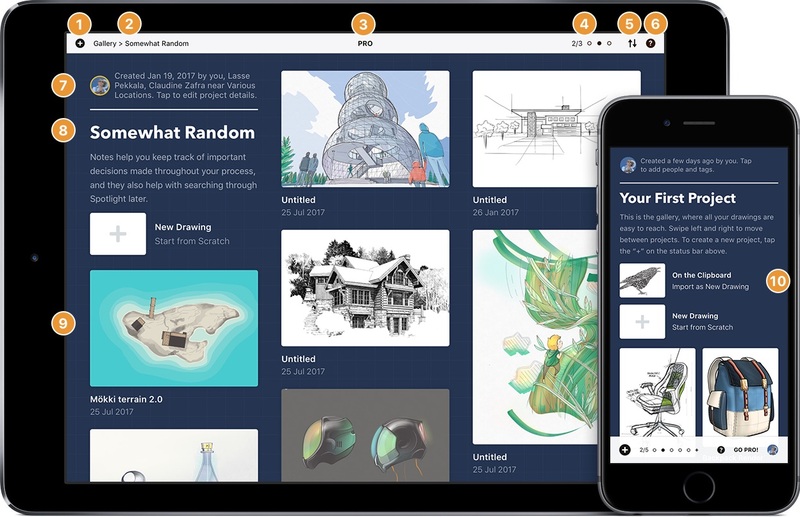 You can set a location for the drawing, which is handy for remembering where a project site is, or where you came up with your brilliant idea. You can set it by tapping the location button, which starts out as “Unknown”. You\'ll see a blank line that can hold whatever location you like, or you can opt to set the location automatically. Tap the crosshairs to enable it — you\'ll see a prompt that asks if it\'s ok for us to use your current location. We respect your privacy. If, for some reason, you hit “Don\'t Allow”, you can re-enable it in the Settings App → Privacy → Location Services → Concepts. It\'s worth noting that enabling automatic location recording will start tagging every new drawing you make with your current location. Of course, you can turn it off in the Settings App or override it whenever you like. Setting the author for a project is much the same. We\'ll assume you drew everything, but you can override that with a simple tap on the author field. Enter a name, then tap the screen or Done to apply it. This isn\'t really an account. There\'s no password and we don\'t store it on our servers (unless you subscribe to updates). It is a place you can personalize your experience a bit, see some interesting stats, and stay in touch with us. We love hearing from you, and we love sharing what we\'re working on, too. It also gives you important information about us, where to reach us, and to whom we owe gratitude. You might find it interesting. Your avatar is pulled from https://gravatar.com using a hash of your email address, and can be updated there. Let\'s begin with freehand sketching; the most familiar way to capture smooth, flowing strokes. 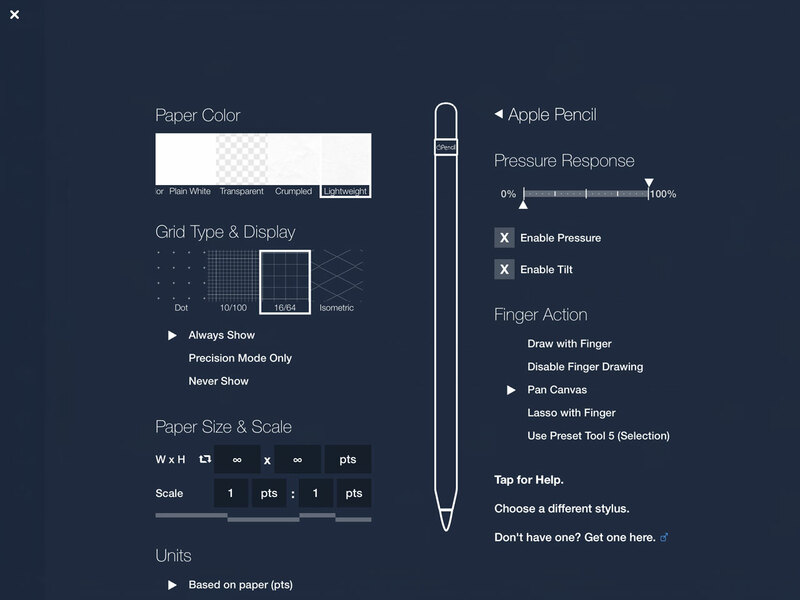 Ink flows naturally from your finger or stylus, and is beautifully responsive. Of course, you can use any standard capacitive stylus. There are many good ones, but we like the Wacom Bamboo stylus for its solid weighting and unassuming pocket clip, or the same one with a built-in pen. Adonit Jot Touch, Script, and Pixel. Note when using Palm Rejection: Make sure you turn off "Multitouch Gestures" in the Settings app (under General). It causes conflicts and you\'ll see the screen jerk around a bit if you don\'t disable it. Use a two finger pinch/spread gesture to zoom. Lines stay sharp no matter how far you go. You\'ll notice there are "zoom steps" at common increments which help you find standard sizes by feel. If you move far away from your drawing, you\'ll see some pointers appear on the outside edges of the screen. Tap one to quickly navigate to the closest off-screen stroke. Used by fighter pilots and Iron Man, the HUD shows you options and information that are useful to the state of your drawing. If in Precision Mode, for instance, the HUD gives you one-tap options for turning Snap and Measure on/off. If you\'re Adjusting something, you can change selection options or measurements through the HUD directly. To set a new tool, tap the tool button; it’s the first button that sits next to the main toolbar. If the menu is collapsed, that button will open it. If the menu is open, that button probably says “Pen” or “Pencil”, etc. Then spin the wheel until you find the tool you want. 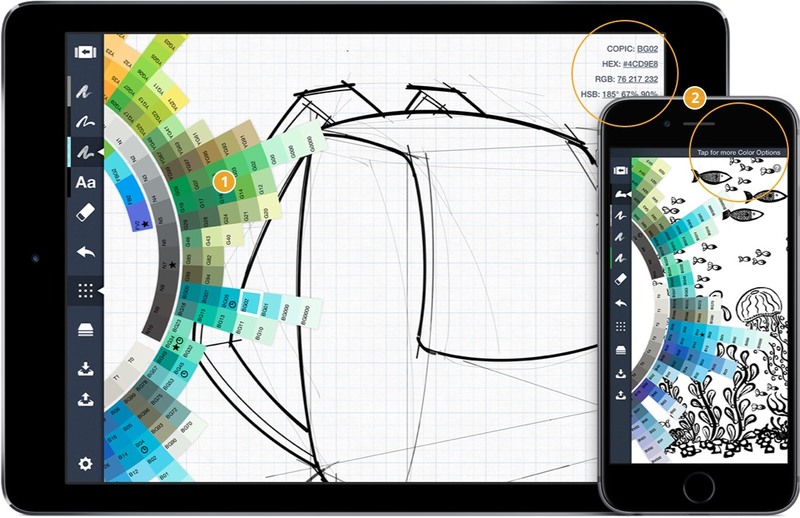 Each pen is a live preview of the color you\'ve selected so you can see what it looks like on-canvas. First, you\'ll need to set the active tool to Text using the tool picker. It might already be on your toolbar. You can select it with a long press the same way you\'d adjust any other stroke or image; with a tap-and-hold. If you\'re comfortable with tools like Adobe Photoshop or Autodesk Sketchbook Pro, it may be easier to think of the Concepts erasers as masking tools. Since every stroke is adjustable, the eraser visually removes anything underneath it, but the data isn\'t actually gone. 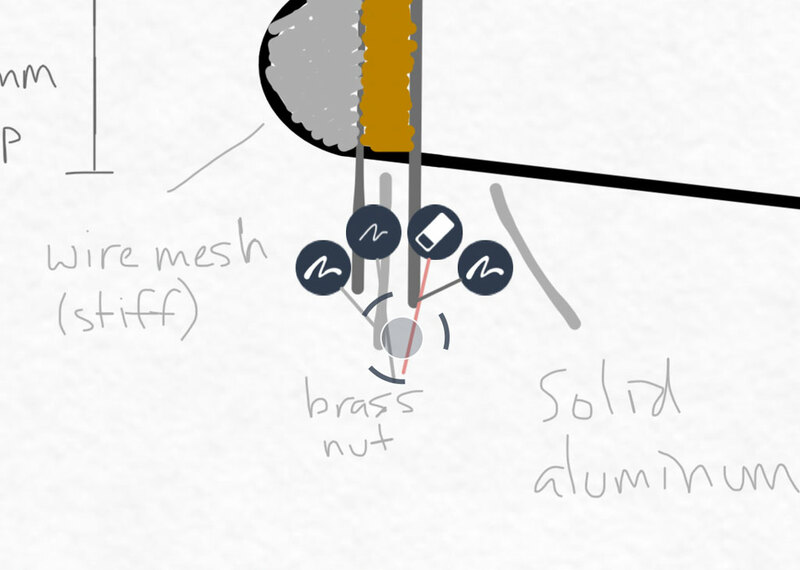 You can still retrieve old strokes later, or adjust your mask as your drawings progress. Shortcut! Double tap the eraser button to clear your canvas and start fresh. Here\'s a video. The eraser stays the same size regardless of your zoom level. That means the further in you zoom, the smaller it\'s effects will be -- very useful for working with details. You can also change the size of the eraser using the Size slider, and its effects will scale the same way. Mistakes can be wonderful, but sometimes they\'re not. 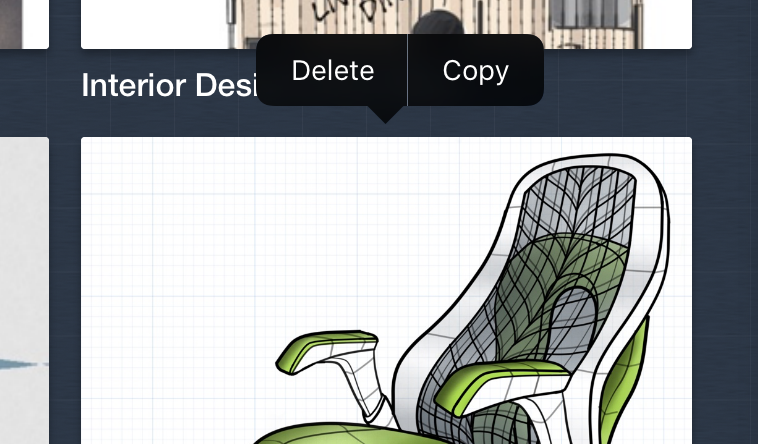 Concepts has an undo button (and a redo button), but you may end up using it less than you think. If you\'ve purchased the Pro Pack, you can just select and fix the offending line, or delete it completely, anytime. 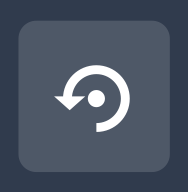 It\'s a way of going back in time and selectively removing or altering, rather than a brute force undo that loses all your latest work. We think you\'ll prefer it. Adjust Mode is for fixing things. Or for playing in your creative sandbox. It\'s for people that can draw, and people that can\'t. You can move, stretch and rotate lines, create objects, change the tool it was drawn with, delete it, make copies, flip it, even lock it down to the page. Combined with Precision Mode, you can snap it to other important points or set the line length just by typing a number. It\'s really powerful, and really fun to use. Adjust is based on a selection, meaning you\'ll need to select something to adjust it. There are a few ways to do that. There are a few cases where selection isn\'t available. Specifically, when a Shape Guide is on screen, you won\'t be able to long-press. Using the Selection tool will automatically disable an active Shape Guide. Also, selection is not available in View Only Mode. Because your finger is thicker than a mouse pointer, we search the surrounding area for strokes, images, text, and even eraser marks. Here\'s what you\'d see if you tap-and-hold the screen (quite steady — it\'s sensitive) WITHOUT being directly on top of something. By default, selection works across layers. Sometimes, you might want to only select a group of strokes in a single layer (ie. grab only the marker strokes). To do this, make a selection, then look in the HUD under “Looking in Active Layer / Looking in All Layers”. You\'ll want “Active Layer” for this example. You\'ll notice that Concepts automatically highlights the selection by graying out everything else. You can disable that in the Settings menu as well, under “Highlight Selection”. Now that you have a selection, we can make changes to it. Let\'s go down the list. Moving two fingers in a pinch / spread motion will lengthen and shorten the selection without changing the line weight. This is useful if you make one side of a box a bit shorter than the rest, or if you\'re making two concentric circles for a ring. You can create temporary objects using the Group icon in the toolbar. Next time you want to grab that selection, just use a regular tap-and-hold and everything will pick back up at once. 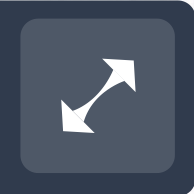 This is useful when you\'re layering objects but want to maintain edit-ability. If you want the perfect line and you draw it quite slowly, you\'ll get extra waviness thanks to Concepts\' sensitivity. You can straighten these out after-the-fact using the smoothing slider, which works in orders of magnitude. Small waves will disappear first, then progressively larger waves, all the way to a completely straight line. Each pack is described by its contents. 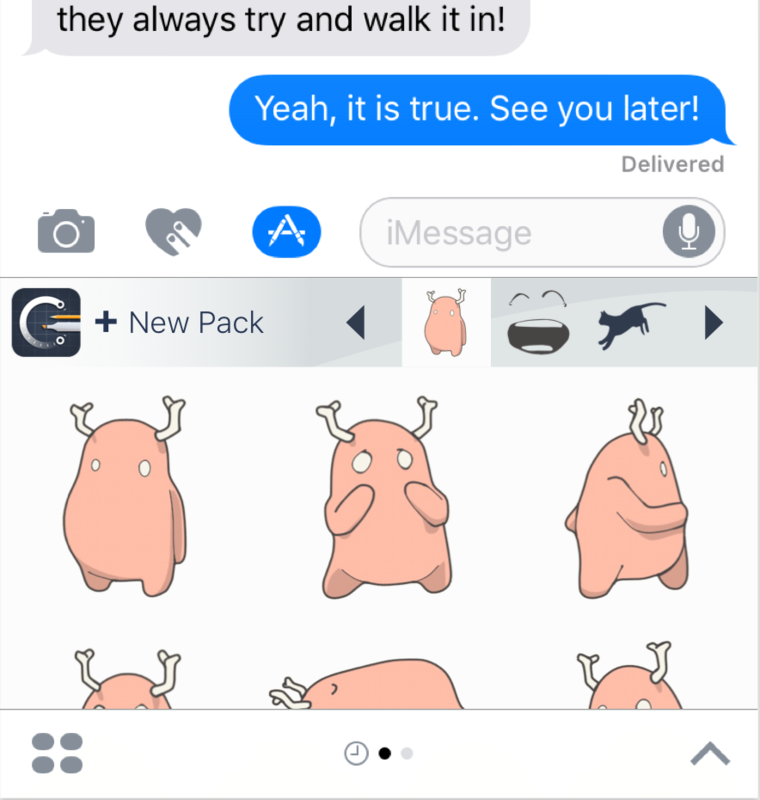 Scroll up and down to see more packs, and left/right to see the contents of any given pack. 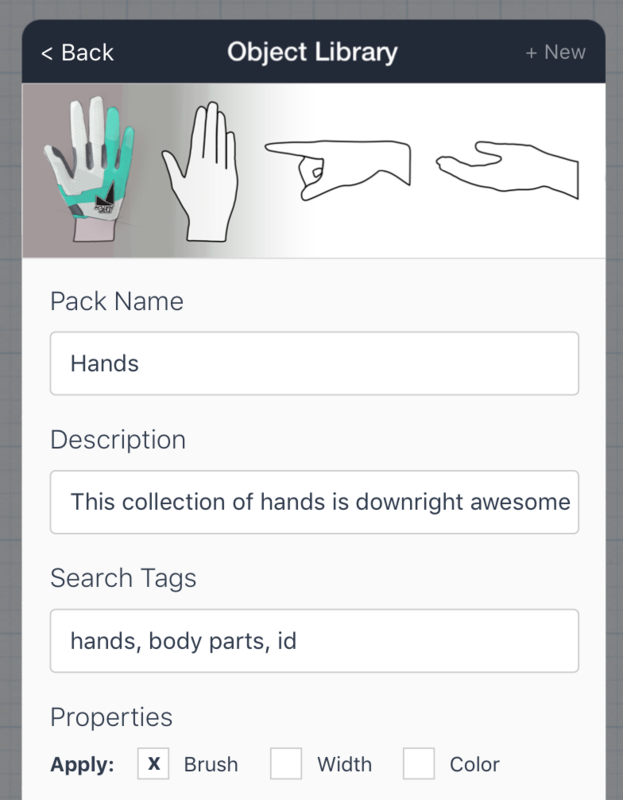 There’s also a Search bar (just above the object packs when you scroll) that will give you a live look at the packs relevant to your search. What if you want the perfect line to begin with? 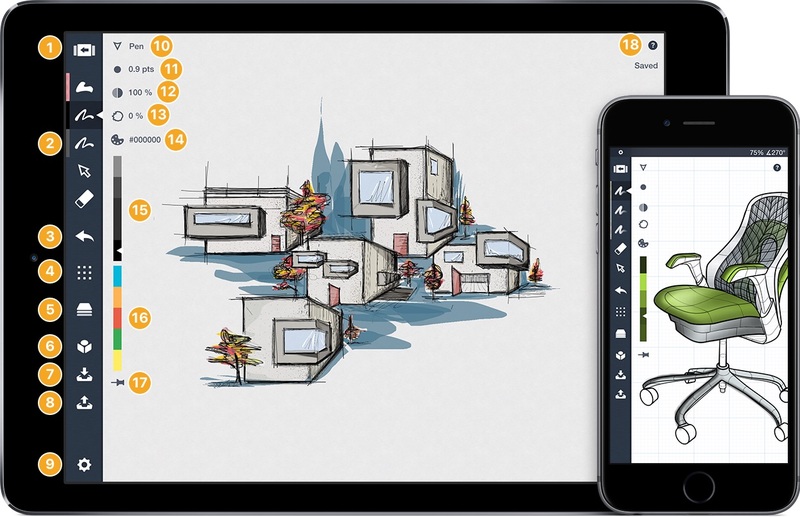 Use Precision Mode -- a switch that enables precision and accuracy using smart “drawing aids”, while still allowing freehand sketching. It\'s lightweight CAD designed for touch. Here are the features that enable it. If there is more than one good option nearby, you\'ll see some small blue snap bubbles pop up. Tap one to connect if it\'s useful, or ignore if it\'s not. There\'s also a gesture for quickly enabling / disabling shape guides; tap the screen anywhere with two fingers. We\'ll try to recall your last position, if you haven\'t moved the canvas too far away. Start by moving the handles, one or two at a time. Using one handle will pivot around the opposite one, while moving two handles closer together or further away will alter the shape itself (except for the straight line guide). It won\'t take long to get the hang of it. To solidify the line, just draw over it, or next to it (away from the handles). If you have Snap-to Sketching enabled and you\'re close to a handle, your line will automatically start/stop at the handle. Every stroke is measured, and we expose that information in a way you can easily access, save, alter, or ignore. You can even create floating measurements that aren\'t attached to a stroke or group for more general use like adding a scale indicator on the drawing. To turn Measure on, Precision Mode needs to be enabled. Tap the Grid button, then look in the HUD for “Measure is Off”. If it\'s already on, you\'re all set. There\'s also a handy shortcut for setting Scale based on a known object in a picture. Lets say you\'re a forensic scientist and have a picture of a footprint with a dollar bill next to it. You know the dollar bill is 6.14 inches long and you want to measure the size of the footprint, but the picture isn\'t actual size and you don\'t want to do the math. Let Concepts do it for you! Tap “Scale is 1:1” in the HUD. You\'ll notice the first blanks have been filled in with the current length of the line guide. Enter 6.14 inches in the second set of boxes (under Scaled) and tap anywhere to close the overlay. Now when you move the Line guide handles to encompass the length of the footprint, you\'ll see the real-world value of that footprint. Mystery solved! Attached measurements tell you the length of something specific. Editing these affects whatever they\'re attached to. Anytime you see a measurement pop up, it\'s fair game for saving. Tap any measurement to save it to the canvas. If it\'s a Detached measurement, tap the Delete button in the toolbar. For an offset, select the object-to-be-moved, start dragging it with one finger in the intended direction, then tap-and-hold the offset measurement that appears at the center of the object\'s outgoing edge. Your creative space needs to be comfortable so your ideas can be wild and crazy. Concepts includes a number of familiar working backgrounds, from paper to transparency. We\'ve included everything we\'ve had requests for. Select your favorite from the Settings menu, and we\'ll apply it until you say otherwise. There’s also an option for “Custom Color” at the beginning of the scrolling menu. It\'s worth mentioning that your paper type (texture) affects certain types of strokes, like Watercolor, for a more realistic appearance. Drawing in Concepts is like drawing on a real piece of paper. We\'ve included most of the standard sizes for working on architectural plans, app mockups, film industry storyboards, even business and index cards. Or, go infinite. Layering is an easy way to organize and separate pieces of a drawing (like an object), and makes erasing/masking easier across different stroke types. It\'s like using a stack of trace paper or transparencies. When Automatic is selected, Concepts will automatically create layers and sort them based on the active tool. Pencil strokes go in one layer, pen goes in another, etc. Every time you change tools, the active layer will change automatically. We\'ll order them in the most common drawing order (listed top to bottom): Measurements, Text, Pens, Airbrush, Marker, Fill, Pencil, Watercolor, Images, Grid, Paper. Most designs start with some form of visual inspiration. We recommend putting those pieces of inspiration somewhere close by - perhaps on your canvas - when you\'re starting out. Use them for tracing, collections, visual reference, etc. Use the Import menu on the toolbar. There you\'ll find options for importing from your iPad\'s photo library, taking a picture directly with your built-in camera, pasting from the clipboard, and importing from your Adobe Creative Cloud account. Some apps like Dropbox and Google Drive support the "Open In" option that allows transferring files directly from one app to another. Find your image file in those apps, tap Open In, then find Concepts in the list. If you\'re in the gallery, we\'ll prompt you to start a new image, or if you\'re already in a drawing, you can bring in there, too. Once imported, you can fully manipulate the image\'s position, size, and rotation using standard two finger pinch/spread gestures. When the image is just right, tap anywhere on screen to return to drawing. 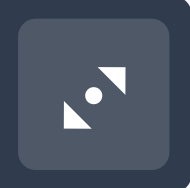 Remember: Snap can help position things just right - just enable Precision Mode on the toolbar. What good is work you can\'t use or share? Concepts supports high-res, standard-res, vector (SVG), CAD (DXF), and layered PSD / PDF image exporting options, with region and background options to just about anywhere. We’re also beta testing our own, more flexible format, CPT (Concepts). 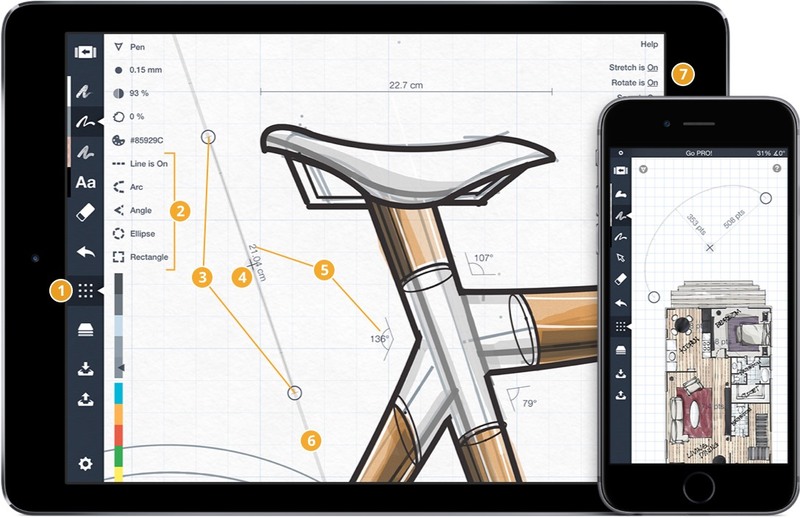 Notes on PNG (High-Res): Depending on the size of your drawing and the configuration you\'ve selected, your iPad may not have the memory to export one single image. In this case, we\'ll need to export your drawing in "tiles", which you can stitch together using your favorite photo-editing app. You may prefer the "Entire Drawing" option, which will export everything scaled to fit on a single image. Notes on SVG: While SVG is a generally well-supported vector standard, not every application supports every feature. 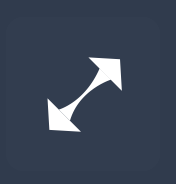 You may find that your drawing differs in appearance between apps like Adobe Illustrator, Inkscape, and Firefox, or your strokes may not be initially visible. Your data is intact, however - just "select all", and you\'ll see every single (beautiful) stroke path. Notes on DXF: Talk about useful - you can now hand-sketch a CAD drawing, then send it to your laser or 2D mill. In the Settings menu under "Exporting", there\'s an option for "DXF Wireframe Only" in case your CAD program doesn\'t support line widths and more recent options. 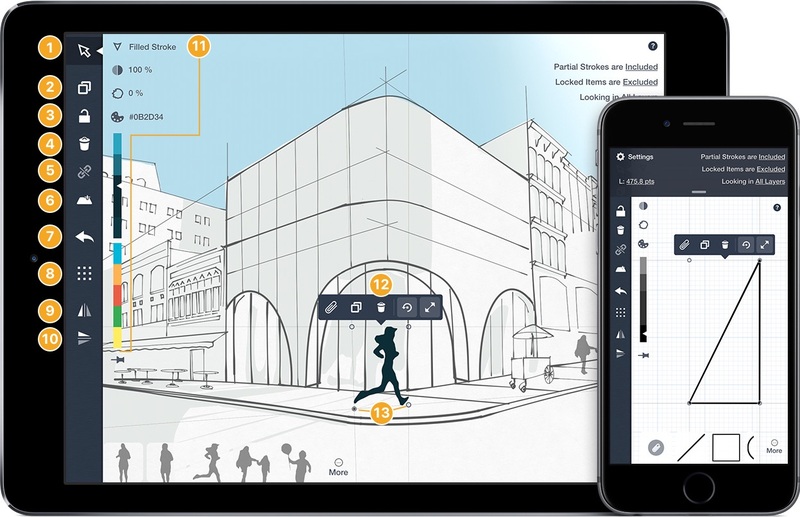 We\'ve included a special "Presentation Mode" where Concepts will detect any connected screens. 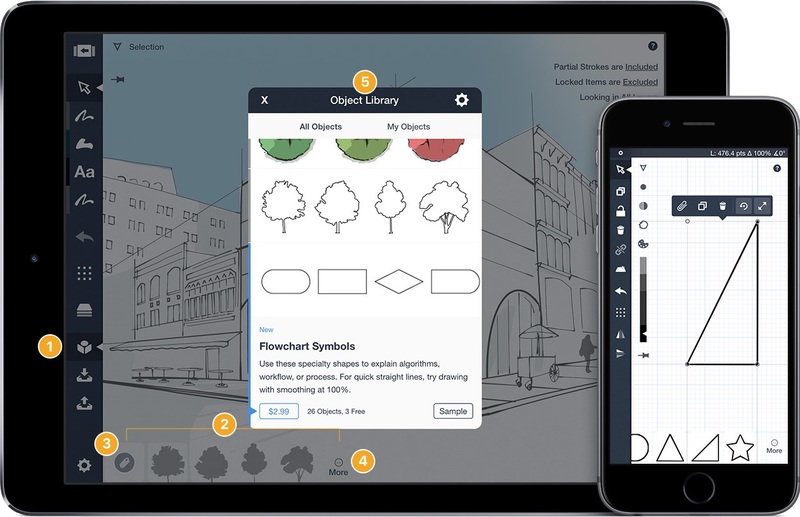 While connected, your touches will be visible by the same blue markers used throughout these instructions so your audience can follow along. To enable AirPlay, swipe upwards from the bottom edge of the screen and bring up the quick configuration menu. Tap "AirPlay" (which only exists you\'re on WiFi and an Apple TV / other device is also connected to the same network), select the device, and turn on "Mirroring". You can do incredible things without paying a dime. 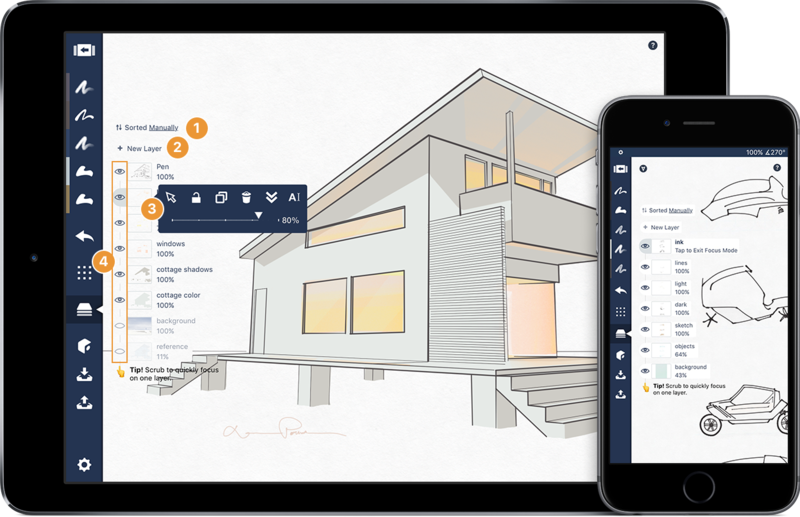 In fact, most of the features others charge for are free - multiple pens, full color control, many paper and grid options, and an infinite canvas. Even the Arc tool is free, unlocking your device\'s potential for accurate, intricate designs. Instantly export your drawings in high-definition (300dpi+) PNG, open source Vector standard SVG, AutoCAD\'s DXF format, Adobe Photoshop layered PSDs and our own special format CPT. Select and Adjust every single stroke after it\'s drawn, anytime. These are professional features at a student price. It won\'t be like this forever -- the features just keep getting better! We\'re visual people, and we learn best visually. We constantly upload new videos that highlight specific features and workflows. Catch them on YouTube (subscribe to get updates) or Youku (in China), and tell us what you\'d like to see next. We\'re a small, international team, and we\'re building the future of design. Come learn more about us at https://tophatch.com. TopHatch is dedicated to quality. If you experience any problems with this release or have suggestions for improvement, please contact us directly so we can quickly address them! Thanks for using Concepts: Advanced Sketching & Design! If you haven\'t already, check out the Pro Shop and unlock your potential!